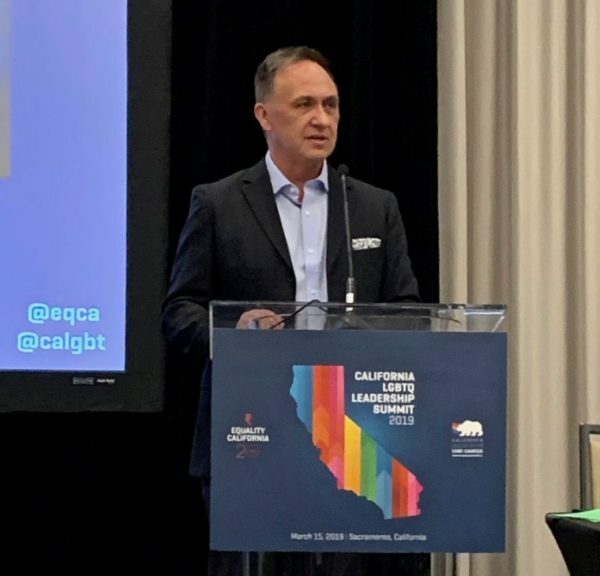 Equality California and the California Legislative LGBTQ Caucus hosted an historic Leadership Summit on March 15 in Sacramento. 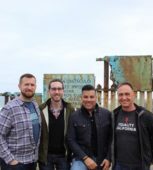 More than 175 LGBTQ national, state, and local officials met to network, discuss leadership and policy issues and to encourage building a pipeline to electoral and legislative involvement within the LGBTQ community. 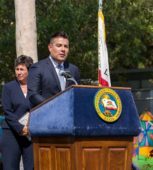 California Insurance Commissioner Ricardo Lara, the first openly LGBTQ person elected to statewide office, and Rep. Mark Takano, the first LGBTQ person of color elected to Congress, were keynote speakers. “What would Harvey Milk think of this historic gathering? What would he want us to do?” Lara asked poignantly, acknowledging the late San Francisco Supervisor, the first openly gay elected official in California who pushed the importance of coming out and being one’s authentic self. 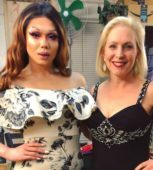 Takano lauded the election of “the gayest Congress in history,” but getting more LGBTQ people elected to office is still of key importance, especially at the local level. 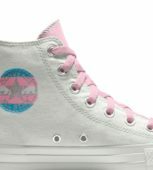 Takano noted that while transgender people and lesbians attended the summit, they were underrepresented. 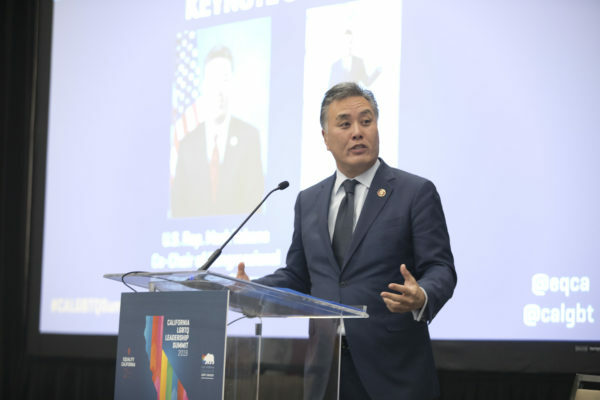 Takano hopes the summit will lead to LGBTQ officials supporting and mentoring each other and looking at how issues of health, safety, and economic opportunity can be addressed in the LGBTQ community. 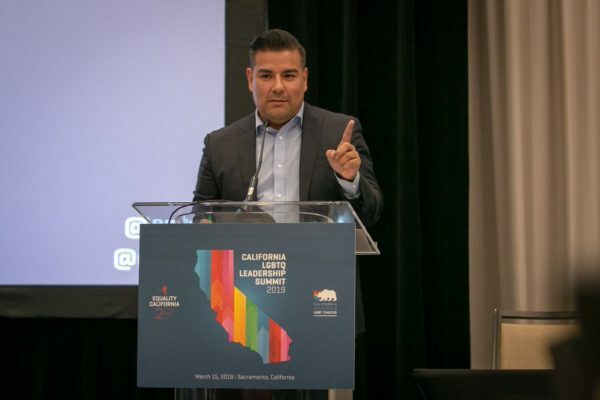 “We want to keep building a pipeline of folks, so that there’s an infrastructure in place for LGBTQ candidates,” said Equality California Managing Director Tony Hoang. Mario Enriquez, Director of Domestic Programs at the Victory Institute, which trains LGBTQ candidates, said viability, a plan to win and success at fundraising are critical in getting an endorsement and hence money from the community-networked Victory Fund. 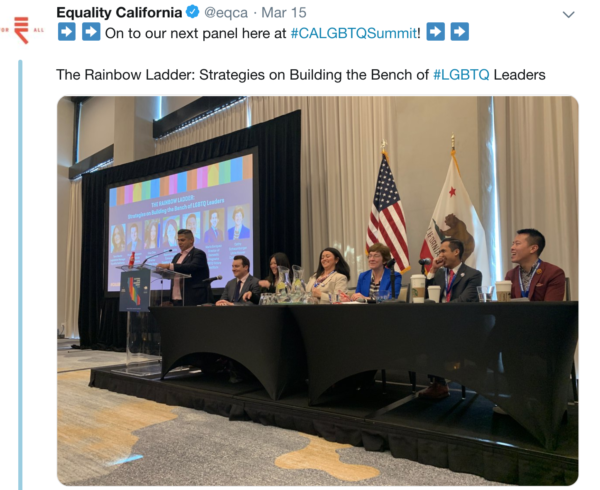 Rick Zbur, Executive Director of Equality California, speculated that half the summit attendees were from communities of color and agreed with Takano that despite positive steps, LGBTQ people are still underrepresented in elected positions. 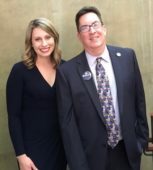 “We’ve got great allies in the State of California, but there’s nothing like having LGBTQ people with a seat at the table who can speak to how policies effect members of our community firsthand,” Zbur told the Los Angeles Blade. The summit was designed to facilitate networking, give tools for advocacy, provide a briefing on state and national policy priorities, and provide a space for the LGBTQ Caucus and Equality California to hear from leaders about issues LGBTQ people are dealing with in their communities were the primary goals of the summit, Zbur said. He added that Equality California is committed to the “deeply intersectional” project of advocating for LGBTQ rights, including bills helping transgender prisoners and addressing homelessness. “We fight for all LGBTQ people,” he said. 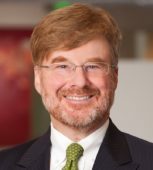 On March 18, out State Sen. Scott Wiener of San Francisco) officially introduced the amended SB 132 that requires that incarcerated transgender individuals be classified and housed based on their gender identity, instead of their birth-assigned gender, which puts them at heightened risk of violence. The summit comes at a time when the LGBTQ community is facing many struggles. The ban on transgender people serving in the military is set to be implemented in April, hate crimes are on the rise, and there is still a high rate of homelessness amongst LGBTQ youth. Indeed, California Assemblymember Evan Low brought the issue of hate home, calling for a moment of silence for the victims of the massacre in Christchurch, New Zealand where a white supremacist terrorist murdered 50 worshippers at two mosques. The post-summit tweet-fest was positive. “Over 175 dynamic #LGBTQ elected & appointed officials gathered for the first #CALGBTQSummit. California continues to lead the nation in advancing the cause of equality for our #LGBTQ community & we will continue working to ensure that our state remains a beacon of hope for all!” tweeted Assemblymember Sabrina Cervantes. “So proud of the incredible diversity,” tweeted Stonewall Young Democrats President Chris Nikhil Bowen. “We’re bringing the color to public office!” – Karen Ocamb contributed to this story.